If you lock your keys in your automobile, our mobile locksmiths can come to you 24/7 to get you back in your vehicle and on your way. It happens to even the most careful drivers: you lock your car, shut your door and then immediately realize that your keys are laying on the seat, or you set your keys in the trunk while you’re unloading groceries and accidentally forget and lock them inside. This is when you’ll need your car locksmith to come open the car door. A licensed, experienced auto locksmith is trained to open car doors quickly and without causing damage to the door or the lock mechanism. Along with getting you back into your vehicle, auto locksmiths can provide an array of vehicle-related services, including replicating or replacing car keys and repairing or replacing a faulty ignition. Locksmith scams are all too common, even in a relatively safe community like Newton Square. To ensure that you hire a trustworthy car locksmith and avoid potential headaches, there are several steps you can take. Be Prepared: The time to research locksmiths is not when you’re standing outside in the middle of a cold February night. Find a legitimate locksmith in advance and keep the company’s contact information stored in your phone. Do Your Research: Check out the name of the business and the locksmith who is coming to open your locks. If the business has poor ratings on consumer sites like the Better Business Bureau or has changed its name multiple times in the last few years, look elsewhere. Ask for Identification: When the auto locksmith arrives, verify who they are and the company they work for by asking to see their license. While Pennsylvania is one of the few states that doesn’t require locksmiths to carry a physical copy of the license, generally speaking, reputable locksmiths will be able to quickly provide this information. Use Your Judgment: If a locksmith arrives in an unmarked car and refuses to provide any form of identification or even a business card, then don’t be afraid to send them away. Pick Your Payment Method Wisely: When hiring with a locksmith that you’ve never done business with before, use a credit card to pay for the service. This way, if there are any fraudulent charges, you can dispute them with your card issuer. Never use cash to pay for a locksmith you’ve never worked with, and always get a receipt. 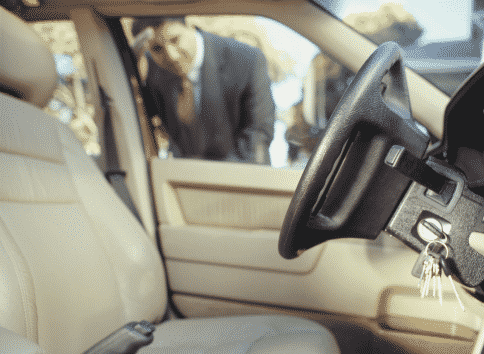 Getting locked out of your vehicle is a hassle, but having a certified, insured, and registered locksmith take care of the job for you is an easy way to ensure that the incident only disrupts your day rather than your entire week. At Lightning Locksmith, we are a mobile local locksmith that is dedicated to providing outstanding value with integrity. We do this by guaranteeing the services we provide and by offering honest pricing. We meet you right where you are to get you back into your vehicle and on your way quickly and safely, no matter where you are in Delaware County, including Wayne, Brookhaven, and Newtown Square.